My Refrigerator Shocks Me! Why? This can be a concern, especially if your refrigerator has a defrost circuit. This is a well-known problem and can even be a safety hazard when the refrigerator is placed on an electrically conductive concrete floor, especially one that gets damp with moisture. Old fridges leak. It might be time to replace your fridge if you’ve got this problem. Crossed wires misdirect the energy, which goes into shocking you. This isn’t safe long term because this makes things susceptible to sparks and fires. 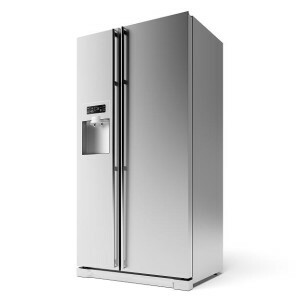 It’s most likely the answer to your question, “Why does my refrigerator shock me?” is a wiring problem, which can be extremely hard to diagnose and repair in older appliances. We recommend suspending use of the appliance until you either get a trained technician to look at it or find a replacement. We recommend considering an Energy Star appliance. If your home’s wiring is outdated it might not be able to handle the sheer power draw of modern life. Call us today to update your wiring: 502-636-4357!